Avant! Records donates this blood gift of an album through dark hands and dark minds. 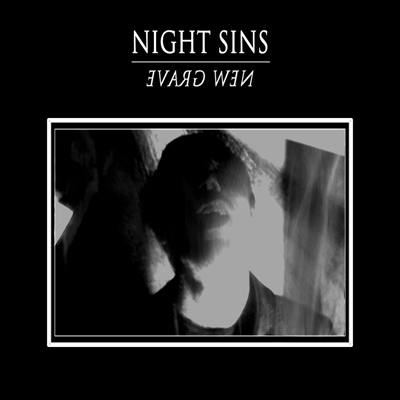 Night Sins opens their new grave so it resembles an open wound, gushing with thick and warm sounding guitars, synths, bass, drums and a tormented singing. The result, in the gloomy shape of this album, sends its shadowy vines of music somewhere between the dark Goth clubs of the dark eighties and the contemporary understanding about where do we go from that old scene in 2013. The songs themselves are well done, engaging and almost saturated with the gray waste of gloomy emotions, and the music, sucking the blood of different sub genres in this field of music, serves as a suitable context to the singing. I don’t suppose there are many copies left from this album, so if you’re a fan of that dark era of Goth music and the resulting, contemporary consequences of it nowadays, be sure to pick this album up.